I’ve been wearing a LG G-Watch for about a week and a half now, and I’m surprised on how many people even notice that I’m wearing it. Not only at work or in the Pub I’ve had people ask me questions like “(Whats that on your arm?) Is that the iWatch”, no even when just waiting for a tram looking at the watch because it just vibrated seems to draw attention. Interesting. Now i decided to blog about the wear to maybe answer a few of the more common questions. 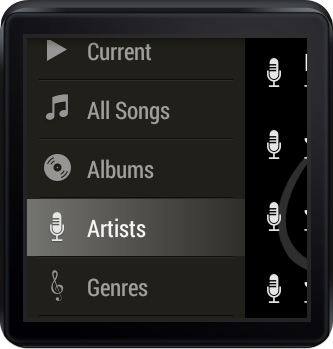 The first thing i already answered, no its not an iWatch, its a LG G Watch, which runs googles android wear on it. That means it is paired with an android device (i have it paired with a first-generation Nexus 7), and allows to run android apps on the watch, receive notifications from android apps on the paired device, and transmit information to the paired device. By default it comes with very little apps, and there isn’t that many apps available yet. So what can it do? 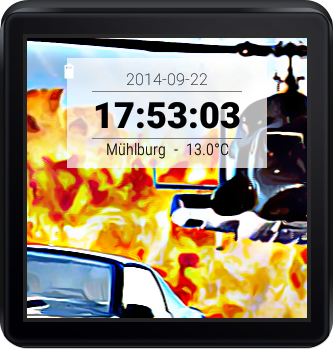 Basically the first thing is – it can show you the time (who would have guessed), and since it does that on a display, it can do so in what ever way you like, there is already a ton of watch-faces (skins for the watch) out there, and a few apps that allow people who don’t know how to program to build one as well. I used an app named “Facer” to build my own. Besides the normal mode where the full watchface is shown it has a “dimmed” mode, where it is supposed to only show a simple version of the watchface (not all support that properly) to save power. 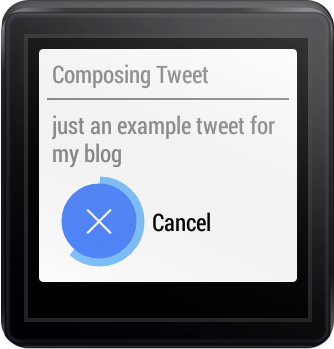 Then it allows to show notifications, notifications in the most basic form are the same notifications you know and love from your regular android device – however, if an app truly supports wear, those notifications get pimped (which needs to happen in the paired devices app, you don’t need to install the app for that on your watch). This allows to add additional pages that you can swipe through (with more information), buttons to touch (that will trigger stuff on your paired device). There are some apps which make quite nice usage of that. Some Applications have a minimal app just for launching stuff on the watch, and have it trigger the paired device to send notifications with information – for example this seems how @here is working. And then there are apps that are actually running on your watch (quite often still communicating with the partner app on your phone), for example i installed Stellio, which is a (very nice) music player that runs on the paired device, but has a good companion app on the watch, that allows for a bit more than the notifications that for example googles own player is using. The Watch comes with a suite of sensors (compass, acceleration, gyroscope..), is paired through bluetooth 4 (and its amazing, i don’t really feel an impact on the battery time of my nexus 7, but the range is roughly 20 meters with up to one wall inbetween). 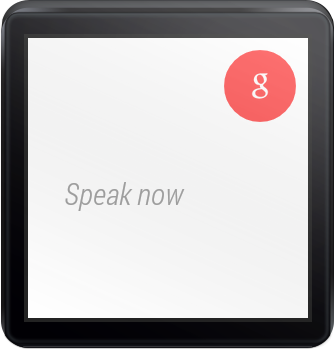 Also googles speech recognition can be used by apps on the watch, which is quite nice, for example bunting allows you to tweet by simply raising the arm (will cause the watch to switch active), saying “ok google..”- trigger googles speech recognition – “start writing a tweet” – opens the bunting app – “just an example tweet for my blog” – the text you want it to tweet (example). The Downside is, it will tweet whatever it understood.. without asking if thats really what you want to sent. (can’t wait for for #drunkenbunting ;). 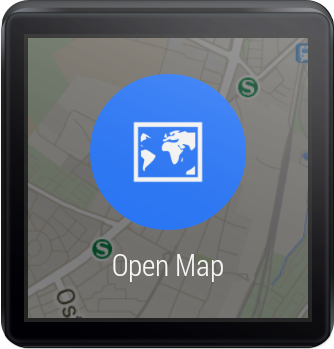 So you can see, there are a lot of possible ways applications can be enhanced or build to enhance the watch experience – useful and fun stuff (yes there is a hand full of games for it already, even though i find those rather silly.. but i think you could improve location based games like ingress with the right companion app). Ultimately the time will tell, so far there is a lot of proof-of-concept apps, and IMHO just a few useful ones, but thats exactly what I’d expect. Developing your own apps is pretty straight forward if you are used to Android development, and i guess sooner or later I’ll end up building one or two of the ideas that wearing this watch has inspired me to. Since it is right now a bit hard to find the good apps (WTF google, where is a filter in the play store that allows me to show wear-apps? ), I’ll close this post with a small list of apps that i like. IFTTT – a multi purpose app i don’t want to live without anymore. Obviously there are more, and i have installed more, but those are the ones that i’d install first if i had to reinstall the device.